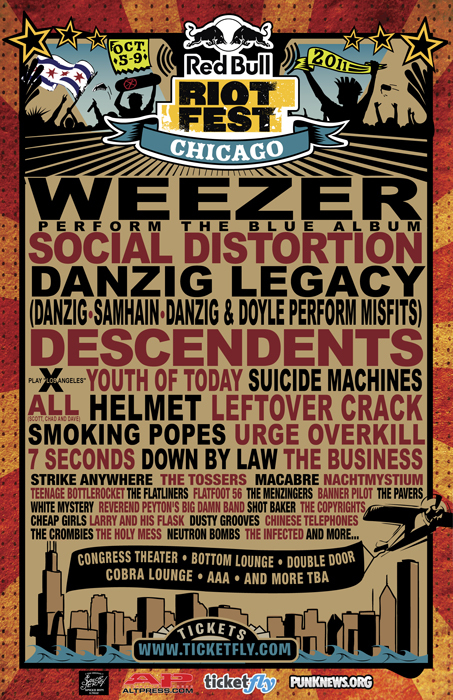 Founded in 2005 in Chicago. 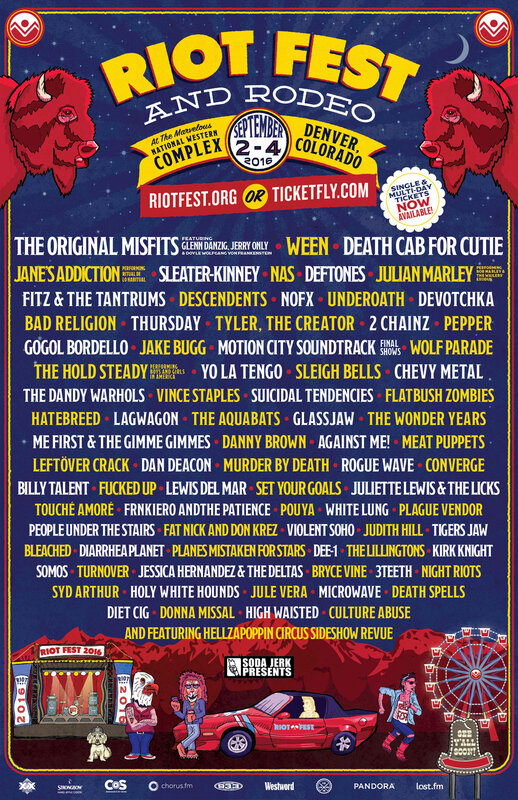 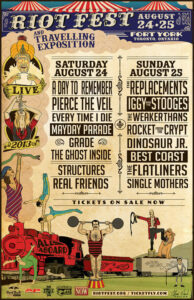 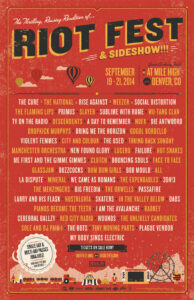 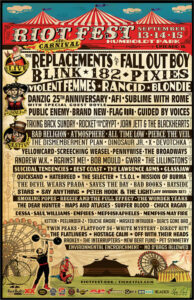 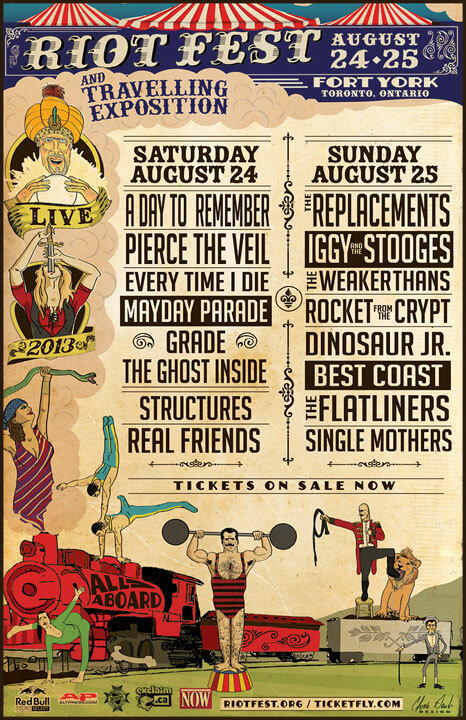 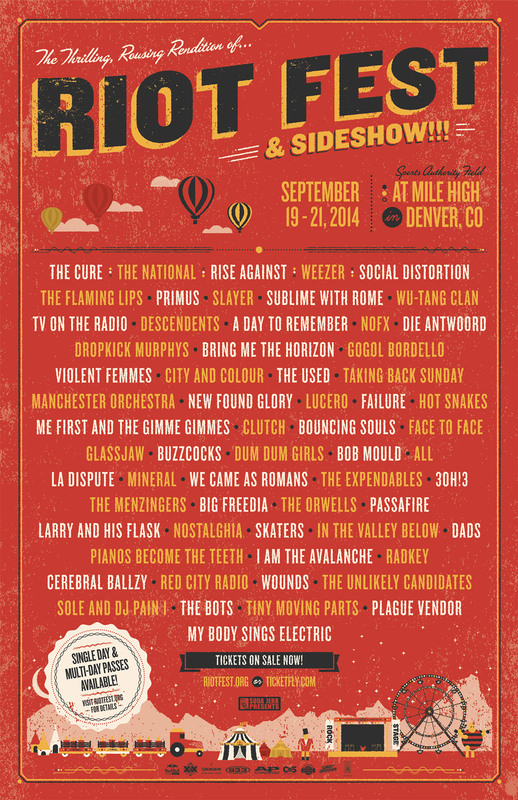 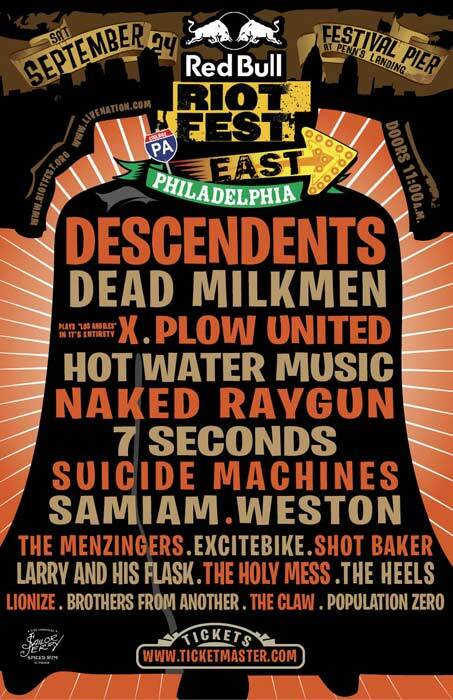 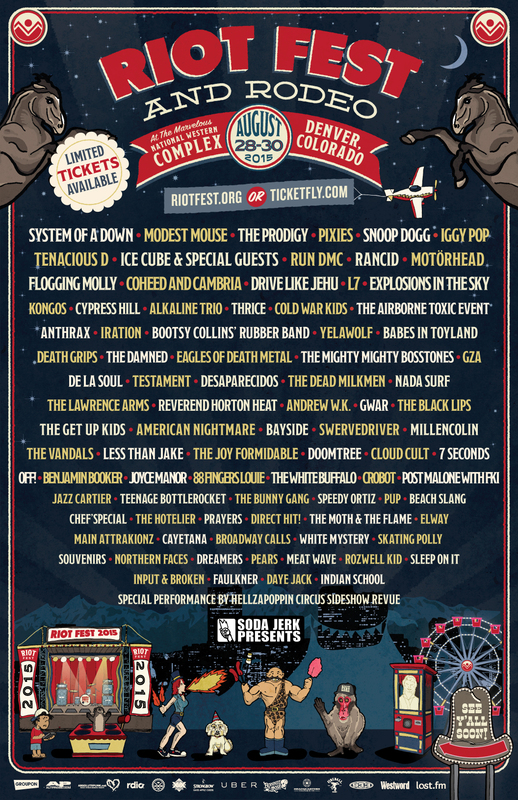 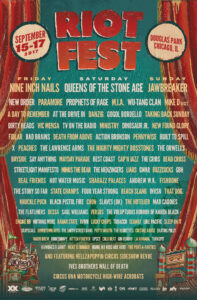 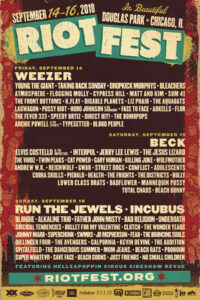 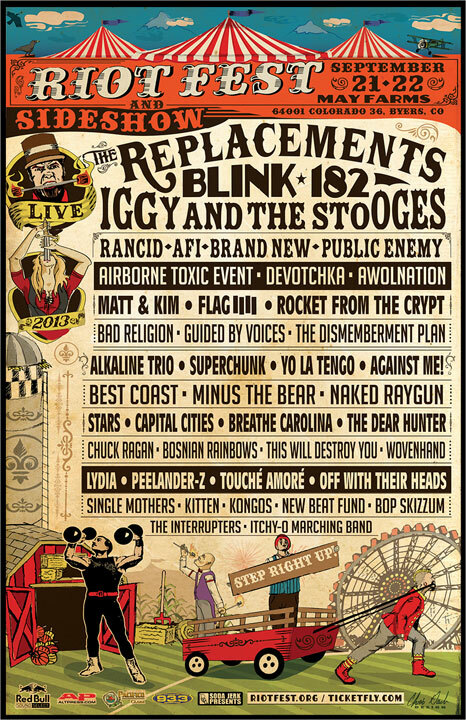 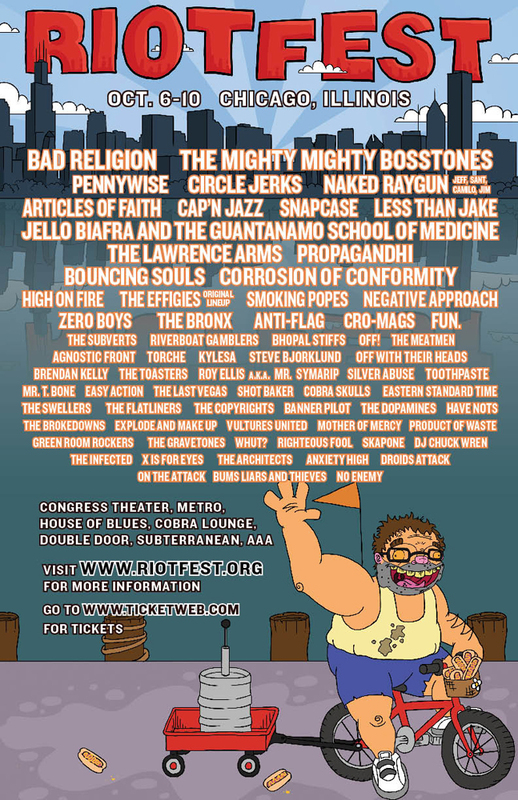 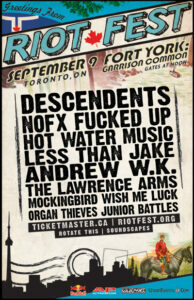 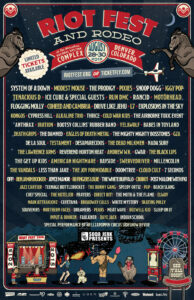 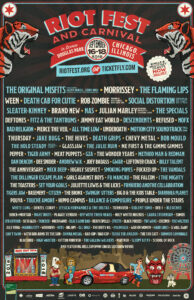 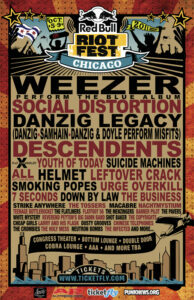 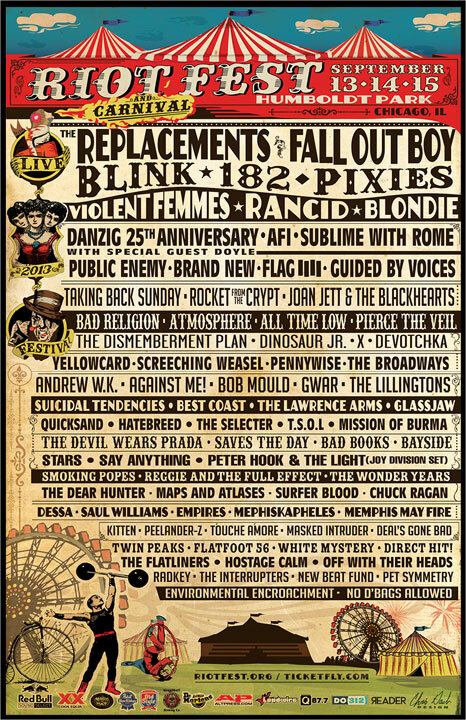 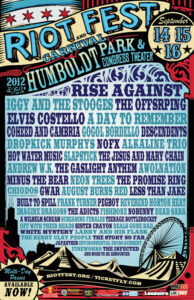 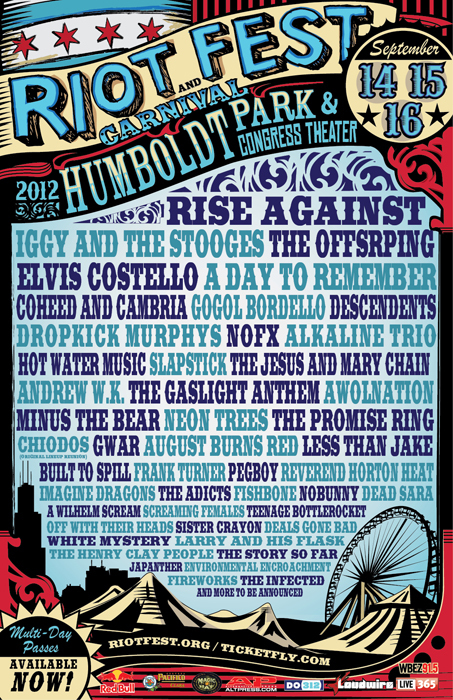 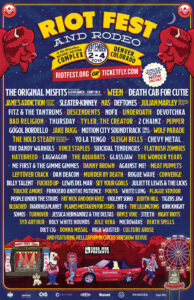 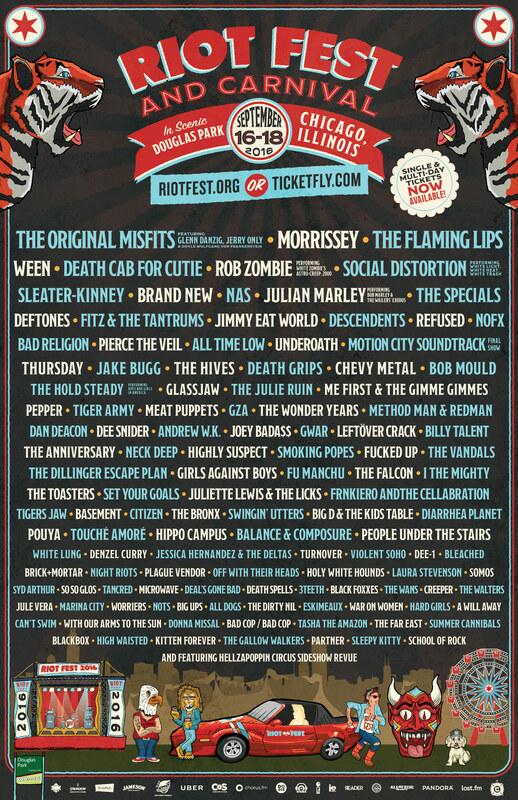 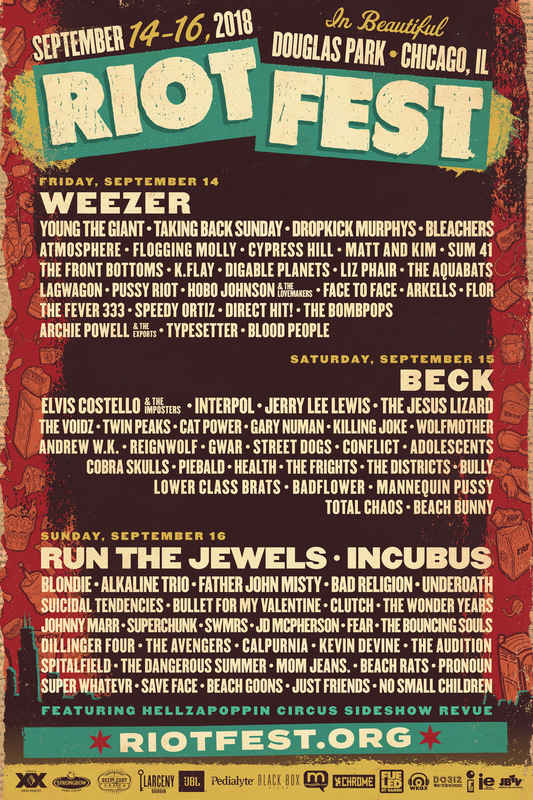 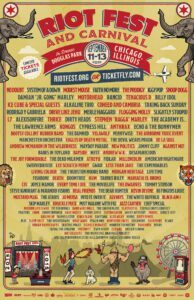 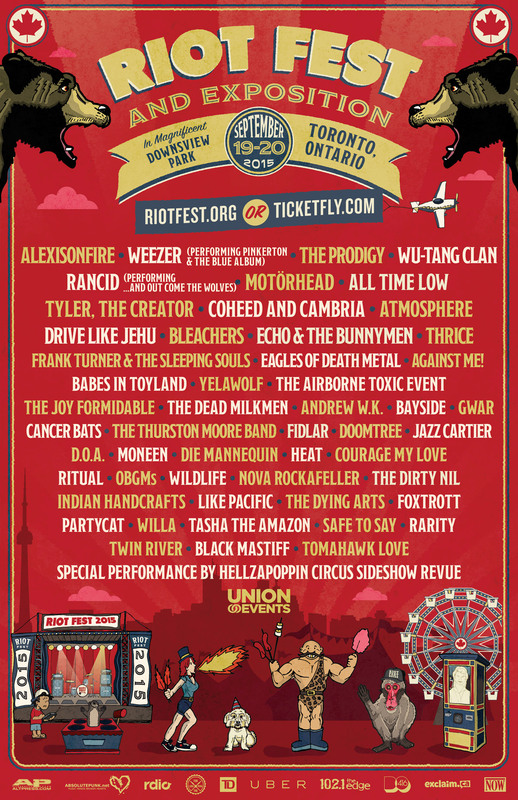 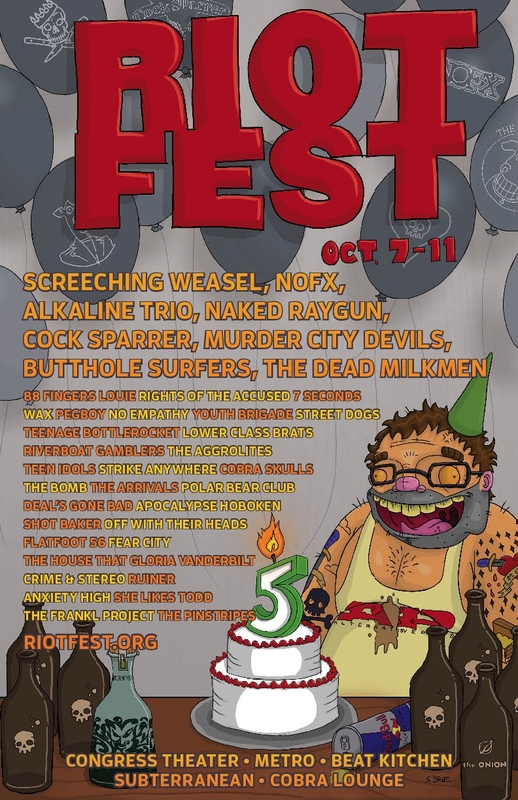 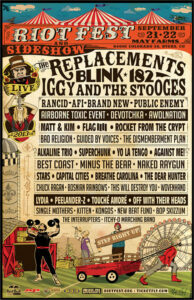 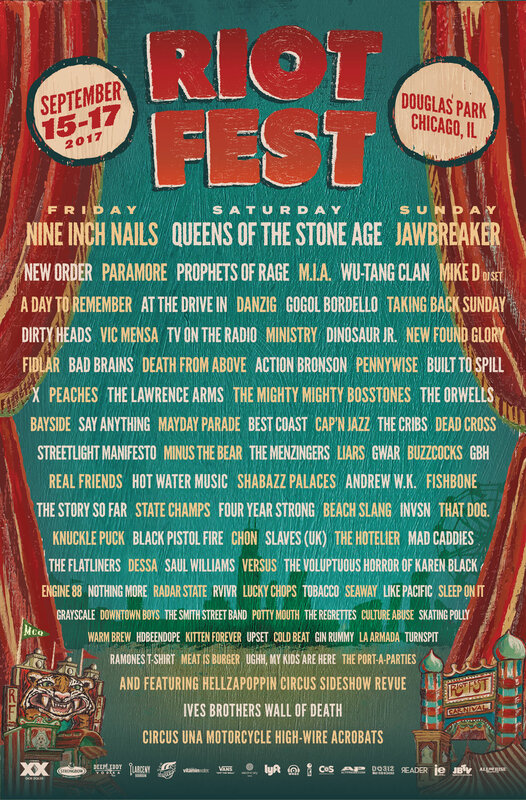 Riot Fest is a multi-day music festival specializing in punk, rock, alternative, metal, and hip-hop. Carnival Rides, amazing food vendors, sideshow performers, and more add to the atmosphere of this independent music fest. 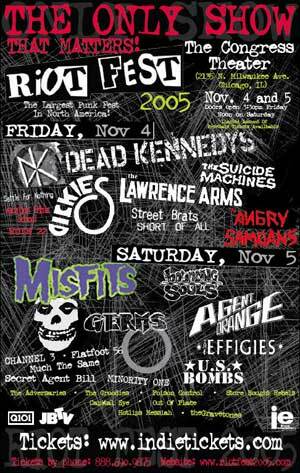 In 2005, Riot Fest booked a multi-venue weekend of punk and rock in Chicago with bands such as Dead Kennedys, The Misfits, and The Bouncing Souls kicking things off. 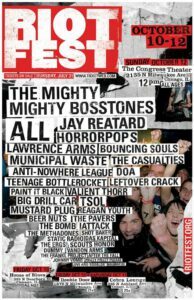 We even had ticket giveaways on our sweet Myspace page, and since then have been working hard every year to bring you the best fest we can. 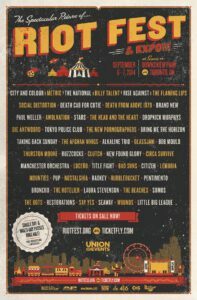 In 2012, we realized the amount of things we wanted to bring to you could no longer be contained inside a few venues, and decided to expand to the sunny and spacious Humboldt Park in Chicago. 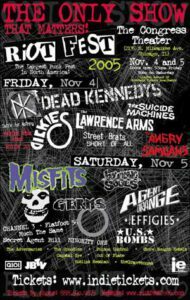 We expanded to other cities. 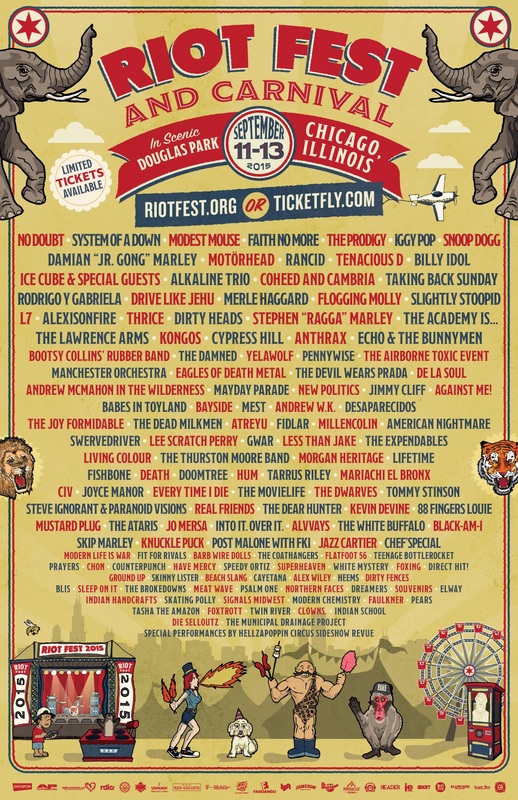 We added carnival rides, Lucha Libre, porta-potties, and much more. 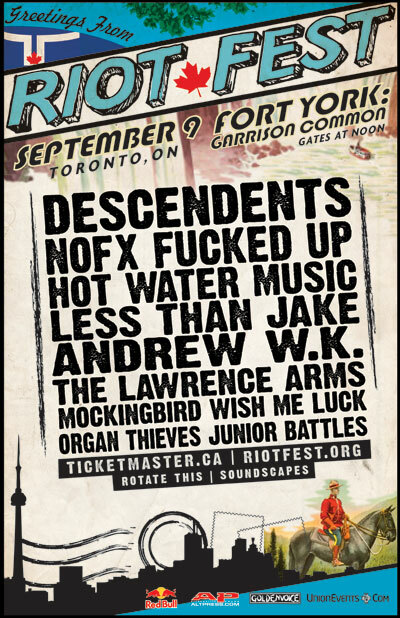 2013 marked our 9th year, and we can’t thank all of you, our fans, enough for making it so awesome. 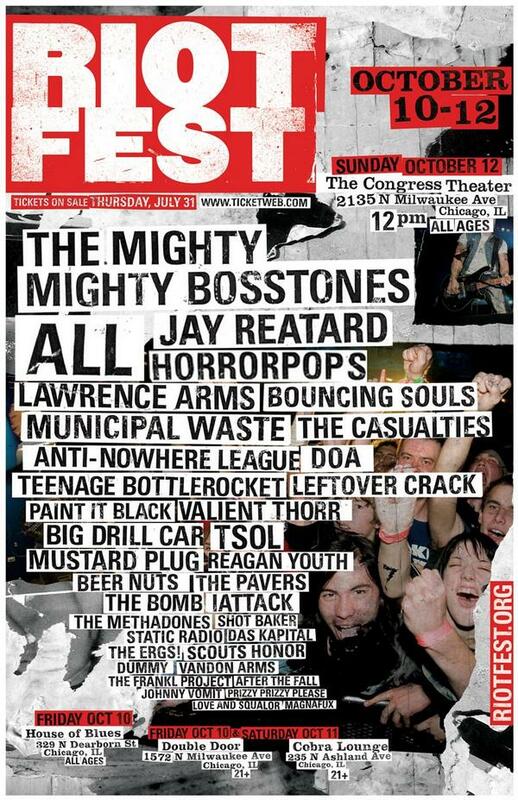 Here is a little peek of how the fest went down last year.